It used to be amusing, but after two decades, being a hard-to-understand Australian in America is getting a bit old. Back in the nineties, it was kind of understandable—about the only Australian sound most Americans recognized was Steve Irwin’s auditory smack in the face. It was so rare to hear the dulcet tones of my people on the streets of New York, I would hone in on even a hint of a strangled vowel from a footy field away. Despite our relative ubiquity, I still regularly feel separated by a common language from my American friends. If you’re visiting here, you should be aware that if you talk as you would to a mate in Australia (swiftly, into your beard, full of colloquialisms), no-one will understand you. They may say they “love” your accent and could “listen to you talk all day,” but they’re lying. Some of them think you’re Austrian. Being hard to understand was somehow like a connection to home—my true home, Sydney. Sure, I haven’t lived there for about a million years, but as long as I could still baffle Americans when I opened my mouth, I remained an Australian, cobber. It’s usually harmless enough, although I asked casino staff for directions to a hospital, not the brothel where I ended up as a reporter trying to track down Russian-Australian boxing champ Kostya Tszyu after he had been comprehensively savaged by American Vinnie Phillips in Atlantic City in 1997. Fortunately, I twigged pretty quickly that the nurses were being way too helpful for it to be an American medical facility. I was mightily proud when the senior reporter at the New York newspaper where I was an editor asked to come and chat about the regular brainstorming sessions I’d introduced. When he sat down and looked at me earnestly, I thought he was going to praise my ability to host the gatherings and extract great ideas from our fellow journalists. “We don’t understand a **#@&*^% word you’re saying,” he said, not especially gently. 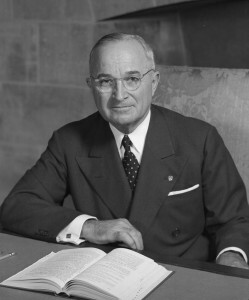 When I tried to get the phone put on in a new apartment a few years ago, the customer service person just couldn’t nail my name, despite my helpful guidance about the fact I shared the surname of a former U.S leader Harry Truman. 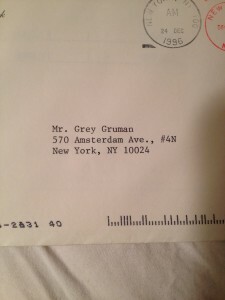 For years I kept the written correspondence I got from the phone company addressed to Craig Turnip, along with a note from the Japanese-American Language Society addressed to Grey Gruman. Australians seeking to communicate with Americans, can make themselves understood with persistence and a willingness to add some color and inflection in their voice (other than the upward thing at the end of sentences that makes everything sound like a question). Accept that we tend to eat key words, so speak slowly, and point a lot. If it’s all too complicated, just add “rrrrrrrr” to the end of a few words, plus say something about guns, God or quarterbacks and people might go out of their way to listen. 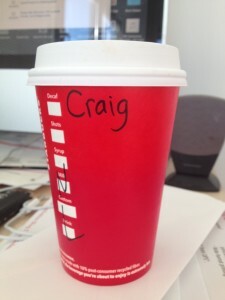 Some parts of the country are worse than others, although, regardless of where I am, my every third order for coffee is prepared by the barista as a “latte for Craig” (or Gary, Ray, or on one occasion Jerome). In the South, you need subtitles. One Sunday afternoon I was scrambling to make a flight at the Huntsville airport in Alabama. I raced through security, completed a sub 21 second, 200 metre sprint across the terminal and arrived, breathless, at the check-in counter where there was but one person, a smiling airline employee. “Oh, bloody hell, it’s not too late? The doors aren’t closed. Have I made it in time?” I said, not bothering with punctuation. She gave me the blank stare: “Yes, this is the airport.” Which was fortunate as there was 737 peering over her shoulder. My last trip back to Australia, the first in a few years, offered a relished return to familiarity, not just the language, but the comfort of indulging in my “culture.” Surprisingly, though, for the first time since I left footy, cricket, corner pubs, a vibrant rock ‘n’ roll scene, egalitarian sentiment and a big extended family for other shores, I felt strangely foreign while visiting. It was totally a muscle response. “You’re visiting from America?” she asked. 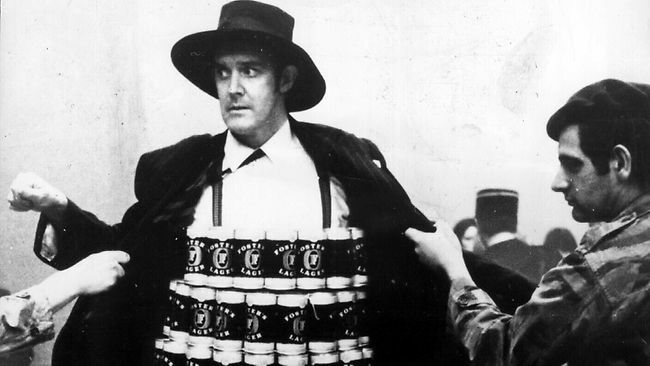 This entry was posted in Humor, thereluctantlemming, Travel and tagged accent, Aussie, Australia, Australian in New York, expatriate, Harry Truman, homesick, New York, Steve Irwin, strike by Greg Truman. Bookmark the permalink. From the silver fox to the grey turnip. Great yarn Craig – always love your work. I feel you man. Your comments arrived the same day as my Donor ID Card from the New York Blood Center. It identified me as Kert Flener Paldera! At least it got my blood type right. I was tempted to think, “Bloody ingrates. I’ve given my life liquid and they can’t even get my name right.”, but I was prompted to recall instead my sporting days in Sydney where the satisfaction of achieving something noteworthy on the field was overshadowed by the trepidation about how the Sun Herald would deform my name on the results page. My favourite alter egos were Delapera who won the junior 110m hurdles at the state age championships and Flarecal who got two hits playing baseball for Sydney Uni against NSW Uni. The legion of other misspellings were just shy impostors compared to the flair for disguise of those two. Yet as I was all too frequently reminded with the bluntness confronted by Jake the Peg (wherever I go through rain or snow, the people always let me know…. )that I was “not from here, are you?” Thankfully by age 8 1/2 I could reply that I had lived in Sydney longer than anywhere else. It was a retort I had to resort to many times until I left at age 21. Even when I was back there in 2010 standing in a queue at Central Station waiting for the bus to the SCG where the Oz v Pakistan cricket test was underway, a kindly older lady with her heart lifted by the prospect of an exotic encounter asked if I was a Pakistani. How ironic it was to note her mild disappointment at the confession of my local ladism. You have traveled to more places in America than I, but for the few places I’ve been over here, the answer, “I’m from New York” satisfies all requests for credentials and often requires one to listen patiently to the recounting of their epic journey to the Big Apple. Back in NY it matters less where one is from. We are all strident refugees from other places for which speed of thought, intensity of energy, grandness of vision and ambition are ill suited. Everyone has an accent. Everyone has an ethnicity. There is no neutral or default setting. It’s relativism at its best. Our names are being misspelled no more nor no less than the next New Yorker. And we all exist in the embrace of the green lady in the harbor. We may not be American and evidently we are less Australian than before, but we are New Yorkers. We are living in the present that occupies more time and space than in any other major city I’ve visited. It’s not where we are from, but where we are now. Kert, agree wholeheartedly with that sentiment. My New Yorkie-ness is cherished, and will be an integral part of that novel I’ll never write. Unfortunately your encounter en route to the cricket does not surprise me. What does surprise me is you were too lazy to walk from Central. BTW, if I’d known you were that Delapera guy when I first met you I would have been far more respectful. Mate with all the speed bumps, roundabouts, one ways and blocked off short cuts that have been introduced to Sydney, I wouldn’t have been able to walk there before lunch. Better to take the bus and enjoy all the traffic exemptions they enjoy….Nah, keep up your irreverence. It reminds me I’m Australian.